Next-Generation Lexus LS to Debut at Tokyo Motor Show in October? Discussion in 'Lexus Lounge' started by krew, Jul 6, 2015. 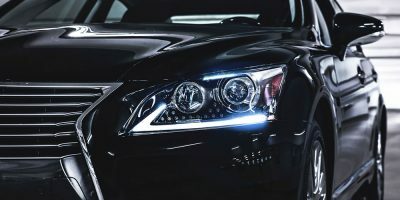 Motoring Australia reports that the next-generation Lexus LS will debut at the Tokyo Motor Show in October, and will share engine options with the upcoming LC coupe. CIF and Carmaker1 like this. WOW! That is just the best news ever! Excellent photo choice by the way krew, as many publications have an annoying tendency, to utilize some of the most lacklustre or unflattering photos of the LS in 5LS reports (and spur resentment for the incumbent model). I was going to hint towards this a few months ago, but I didn't want to be inaccurate if it didn't turn out to be true. Are we sure it may not be a concept instead like in October 2005? Maybe the production model will be presented in January 2016, in Detroit, similar to the 4LS on January 8, 2006? There are no prototypes even testing in public. By now, Toyota would be testing EU-spec or NA-spec LHD prototypes on the streets of Europe with Belgian or in North America with Michigan manufacturer plates. Unless production is planned for Q4 2016, I do not understand why nothing has surfaced in the form of spy shots. The next 6 weeks will be very interesting for this reason, as summer testing rounds need to be done. Even so, the RX wasn't seen doing hot climate testing nor the production NX. LexusTechSA and Carmaker1 like this. Krew, Tokyo might be in the cards now, due to last minute decision-making. A difference of 2 to 2 1/2 months may not be as significant, but might affect the type of example shown. If due in late 2016, a prototype vs. a pilot production build might be shown instead and not accessible to non-personnel. Ever since the LFA unveiling and emotional GS presentation at Tokyo 2009 and 2011 by Akio Toyoda, I see how pivotal that show is to him. His ground-up crown jewel, the 5th generation LS, will shine in his and its home country. He didn't even bother showing up for the IS, NX, and RX unveilings. There was a spy shot not that long ago of a white mule using the current body work with the front and rear covered. I didn't mention that, as that isn't a prototype. On the public front, with no direct insider knowledge, a test mule can be running almost indefinitely depending on what components are being tested. A production body prototype is much more definite and needs sufficient testing, as that is what will actually be factory produced, unlike the XF40-based test mule of the 5LS. Component/power train mules, virtual models, test prototypes (first prod. body examples), evaluation prototypes, and pilot production builds are all pivotal to a successful development programme. I shouldn't really be shocked, as no one snapped photos of the 4LS until exactly 12 months before launch and just right when the LF-Sh debuted at Tokyo. Nice power jump wow, this next gen LS will be a beast!! and then maybe a future LSF *Drools*. Can't wait to see it in October! On the wind-in-the-hair front, a convertible version of the RC is being readied for production and is expected to go on sale internationally in 2016. The ‘RC-C’ will incorporate an aluminium retractable roof to minimize weight. A convertible version of the flagship RC F is also under “serious consideration"." The near future of Lexus is so exciting. I'm really looking forward to the next few years. While I agree with your reasoning, and would absolutely love to see the next-gen LS in Tokyo, I have some doubts unfortunately as to how likely this is going to be. As krew pointed out, if the LS debuts in Tokyo this year, it would contradict Jeff Bracken's statement early this year about the number of new models and refreshes due for Lexus this year. Also as krew pointed out, unless something significantly has changed timing-wise, it would be odd to see the LS at Tokyo. Now if timing for Lexus has indeed changed, then an updated statement from Lexus to clarify things would certainly go a long way. Then again, they could want to keep the timing secret. My hypothesis: we might see an LS concept at Tokyo, and then the full production LS in Detroit early next year. If a production LS was going to show in Tokyo, as you pointed out, we should have been seeing camouflaged prototypes with production bodies being caught testing right now. Most recently, months before its recent Spring debut, new RX prototypes with camouflaged production bodies were spotted testing in several locations in Europe. Aside from the inconsistency with the earlier statement from Lexus, the fact that we haven't seen any production-body prototypes photographed at all yet leads me to conclude that a Tokyo debut for the production LS would be too soon. I would love to see it, just out of sheer anticipation. However if a production LS did appear in Tokyo, I would also have some doubts about the testing program. A redesign of this scale and importance would logically have a very long and exhaustive testing program. I think that we may see production-body camouflaged prototypes of the new LS pop up in the next few months, which would fit logically with a Detroit debut early next year, along with showroom arrivals presumably late next year. corradoMR2 and Carmaker1 like this. No car signifies Lexus like the LS. They simply must blow the world away with the next generation. I'm sure they understand how high the stakes are and what this car can mean for the company going forward. They cannot miss with the next LS. CIF, Carmaker1, corradoMR2 and 1 other person like this. It seems that it is consistent with the article from the Japanese magazine -- MAG X/2015-08 issue. In this magazine, there is a article that talks about what cars from different brands will appear in the Tokyo Motor Show 2015. LC500 coupe - not yet confirmed if it is in the show. This will use the first FR chassis based on TNGA (Toyota New Global Architecture). Note: The first car that uses TNGA is the upcoming Toyota Prius which according to the magazine will appear in the upcoming Tokyo Motor Show. The new LX570 will appear in the show for sure - the picture is almost identical to what is on the headline of ClubLexus. Carmaker1 and mikeavelli like this. I shared this post on fb and the head of Lexus Norway commented "only as a concept". Perhaps it'll be a Detroit debut for the production vehicle then? CIF, mikeavelli and Carmaker1 like this. Are we sure it may not be a concept instead like in October 2005? Maybe the production model will be presented in January 2016, in Detroit, similar to the 4LS on January 8, 2006? 2015: GS F in Detroit, RX in New York. High performance followed by core model. CIF, mikeavelli and Lasse J. Nordvik like this. Holy smokes. I've long wanted Lexus to downsize the engine of the LS, but that's going a little too far. Andyl and mikeavelli like this. Andyl, krew and mikeavelli like this.